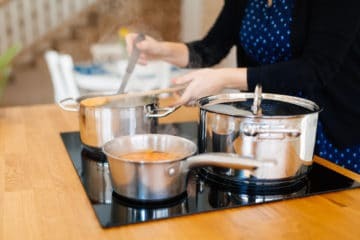 Best Soup Maker Reviews UK 2019 - Are They Any Good? If you’re craving a warming dish on a winter’s evening or a hassle-free, nutritious meal after a long day at work, you can’t go wrong with soup. This tasty and versatile meal option can be enjoyed all year round, and always tastes delicious when homemade. If you want to enjoy homemade soup without hassle, the easiest way to do this is to use the best soup maker on the market. If you’re short of time, soup makers take all the fuss out of making soup from scratch. Most soup makers can create wonderful, flavoursome soup in 30 minutes or less – all you need to do is add your raw ingredients and switch it on. However, with such a wide range of models and features available, picking the right soup maker for you can be confusing. In this article, we bring you our top 9 soup maker reviews; so you can be sure to choose the soup maker that fits your needs. 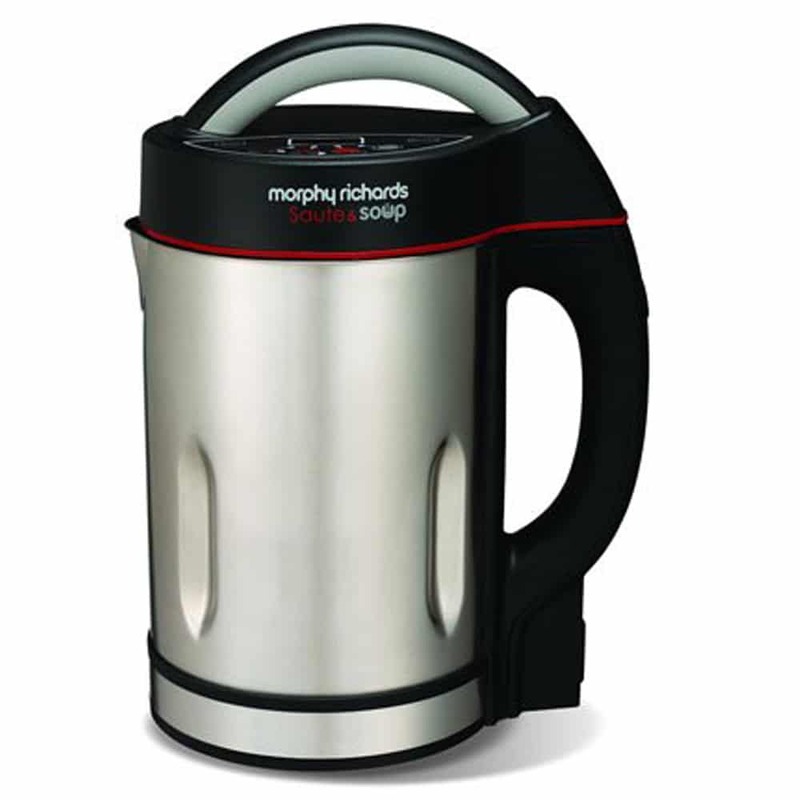 This stylish looking, stainless steel soup maker by Morphy Richards has a 1.6L capacity, allowing you to make soup for up to four servings. 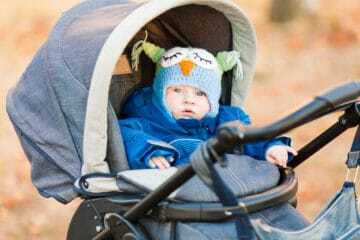 This makes it a great choice if you have a small family or are part of a couple. Alternatively, if you live alone, you could store some leftover soup to enjoy later on. 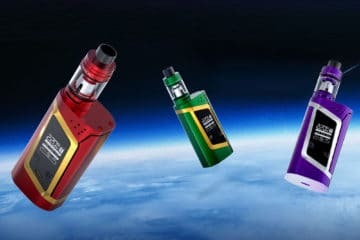 In terms of settings, you can choose from four texture options (smooth, chunky, blend and juice), so there should be a perfect setting to suit your tastes. This electric soup maker also offers a sauteing option as well as useful pause and blend functions, which allow you to check how your soup tastes throughout the cooking process and add extra seasoning if you wish. If you don’t have much time, this electric soup maker works fast, only taking around 20 minutes to create a smooth soup from start to finish. It is easy to use, although some customers thought there could have been more instructions provided. Recipe ideas are included with the soup maker, which is a nice touch, especially if you’re lacking culinary inspiration. Once you have enjoyed your meal, its non-stick interior helps the cleanup process. However, you should be aware that the manufacturer recommends adding liquid to certain vegetables when sauteing to avoid sticking, so it isn’t completely foolproof. It is also worth noting that this electric soup maker can be a little tricky to clean if you don’t rinse it out and wiped it clean right away. Unfortunately, as the electrics are integral, you are unable to put it in the dishwasher. The Easy Soup and Smoothie Maker BL841140 by Tefal provides a hassle-free way to make soups, compotes and smoothies. 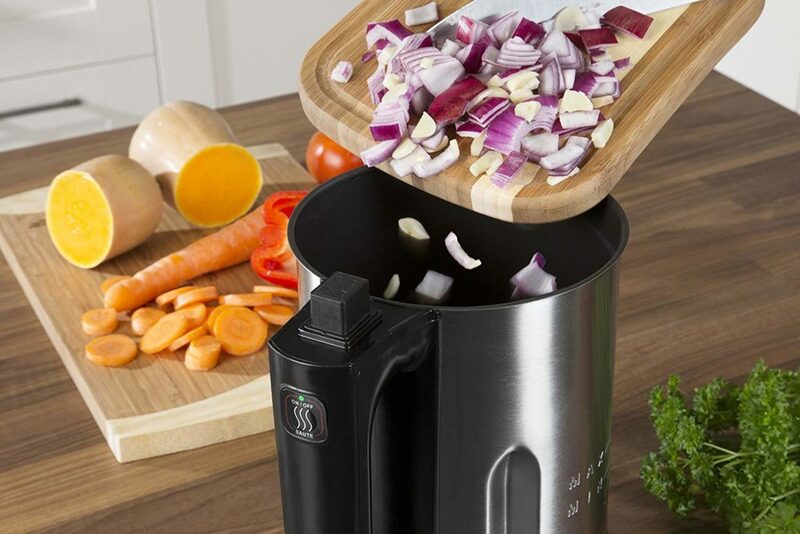 This small soup maker cooks your vegetables in around 25 minutes for a chunky soup. It does not offer a sauté mode, although it does have four automatic programmes and an easy to use display. Its capacity is slightly less than other models at 1.2L. Although the manufacturer states that it serves up to four, we think that it’s an ideal size if you are cooking for a single person or for two people. Made from stainless steel with double wall insulation, you will benefit from this soup maker’s ability to automatically switch to keep warm mode if you’re not ready to eat straight away. This ensures that your soup is kept at serving temperature for an extra 40 minutes – perfect if you have a hectic schedule. As an added bonus, the Tefal BL841140 also has an automatic cleaning mode. 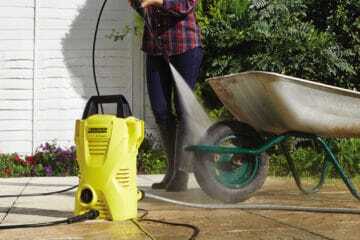 All you need to do is fill with water and select the cleaning function. This works very well for smooth soups, however, if you have any burnt-on food, you will still need to resort to manual cleaning which can be tricky given the appliance design. If you need some help deciding which meals to make, this soup making machine comes complete with 30 recipes, so you can try something new every day of the month. 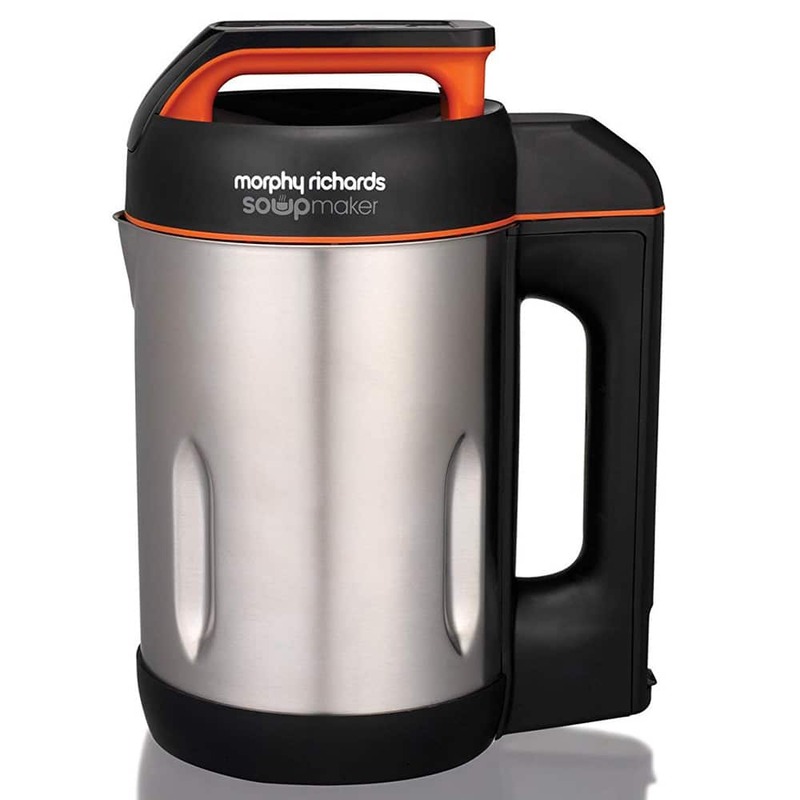 This stainless steel Morphy Richards 501011 has a generous 1.6L capacity. This makes it a good choice if you like to have some soup left over for another meal, or if you’re a small family. This large soup maker is handy as it is able to sauté food. 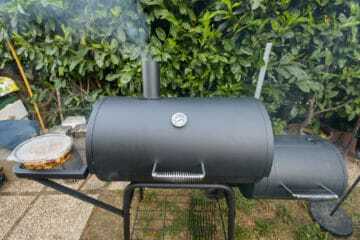 It allows you to cook bacon, garlic or onions etc in the soup maker itself, rather than using a pan first. Unlike many other soup makers, it also offers a useful pause function. This is great because it enables you to pause the programme and lift the lid to check the taste and texture of your soup, without having to reset and start again. The display is easy to use and the LED digital countdown timer is a welcome addition, especially if you’re busy doing other tasks. After all, it’s useful to be able to glance over and to know exactly how long you’ve got to go before its ready. You must be careful when filling it up though, as it can be easy to accidentally go over the maximum fill line. Unfortunately, there are some negative points to mention. A few customers have complained that this soup maker is difficult to clean due to its design. Also, many users complained that their unit developed an electrical fault which shortened the product’s lifespan. 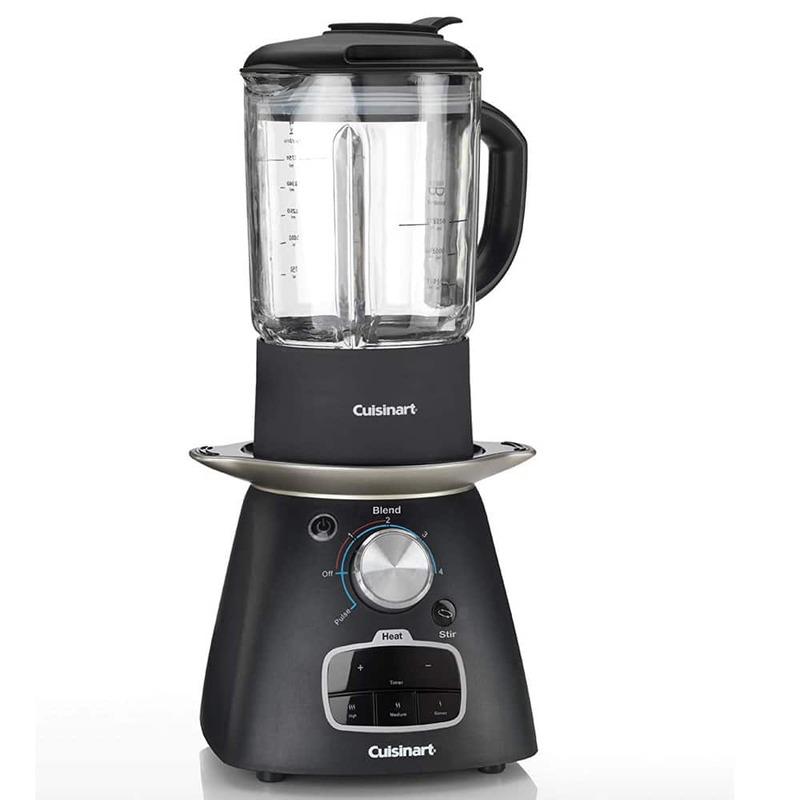 This distinctive, elegant soup maker by Cuisinart looks and works like a traditional blender, but with added soup making capacities. 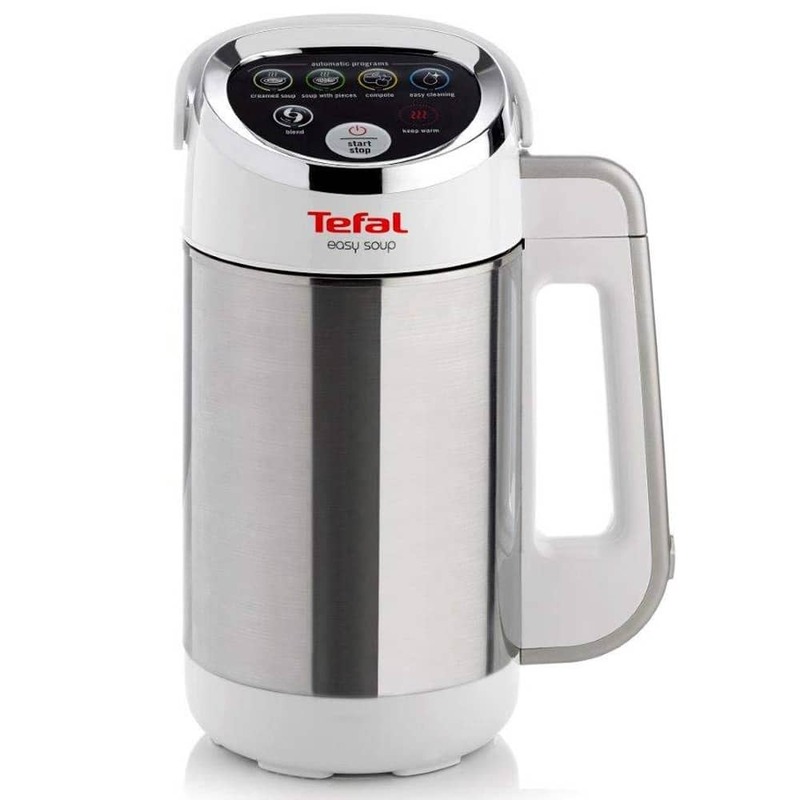 It has a 1.4L capacity for hot liquids and 1.75L for cool liquids, making it around average size as far as soup makers go. If you’re looking for a stylish and multifunctional counter-top gadget for your kitchen, then this could be right for you. It is worth noting that this soup maker is not programmable. Therefore, if you’re looking for a soup maker to just stick your ingredients and leave it to work, then this is not for you. It is by no means difficult to use, you just need to be present to blend the soup after cooking and to switch between modes such as sautéing and simmering. The non-stick cook plate works well for sautéing, however, like many other models you will get certain foods that stick more than others. Furthermore, some customers said it didn’t always cook vegetables thoroughly first time around. This soup maker is fairly difficult to clean if there’s any burnt on food and it is extremely difficult to clean behind the blades themselves. 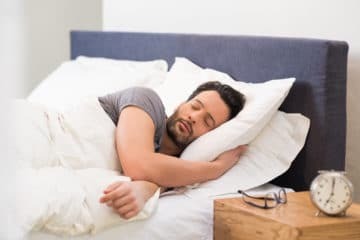 It’s also a very heavy item, which is fine if you intend to leave it out, however, if you’re short of counter space, you won’t want to be moving it around often. As this soup maker is also a fully functional blender, capable of even crushing ice, this product is a great choice if you want to make a variety of dishes including smoothies and dips. However, because it’s not programmable, can be difficult to clean and can leave vegetables a little underdone, it is probably more suited for occasional soup making use. The Morphy Richards Total Control provides a whole host of functions and settings. It has a beautiful touch screen display and a 1.6L stainless steel removable container that makes it great if you’re looking to serve up several portions. Thanks to its innovative portion control feature, you’re able to simply create the right amount of soup for two, three or four people without any waste. 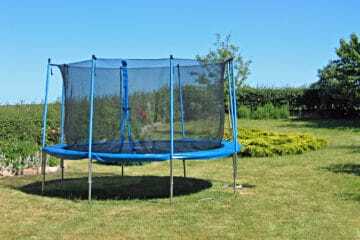 This makes it a perfect choice whether you live with a partner, or as part of a larger family. With nine settings, you have plenty of options to create your soup just how you like it. To start with, there are three different texture options – so you can select from smooth, medium or chunky soups. To personalise your soup even further, you also have the option of a sauté mode to truly maximise flavour. However, if you’re planning to sauté for four portions, space on the cooking plate is a little on the short side. This means you’ll have to stir very frequently or else only half of the food will be in contact with the hot plate at a time. 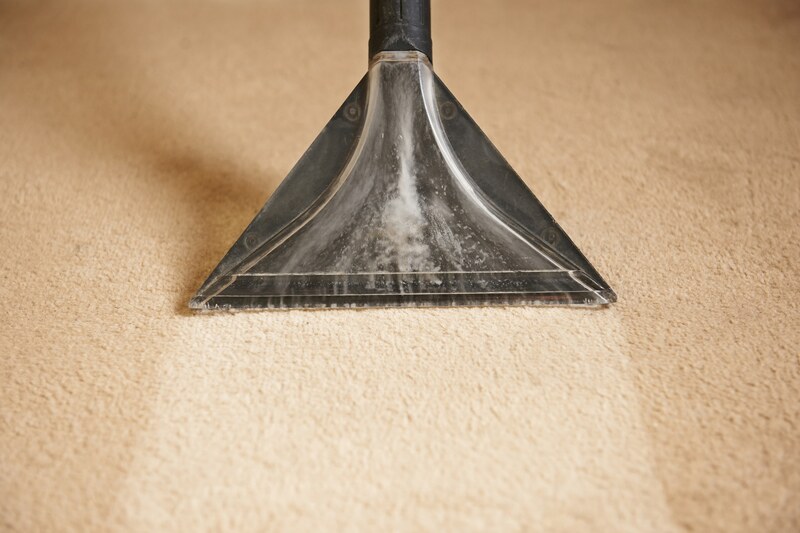 ‘Drinks’, ‘reheat’, ‘blend’ and ‘pre-clean’ make up the rest of the nine functions. Drinks function is useful for making smoothies and the reheat saves time and hassle when you want to heat up your soup at another time. You can also choose to manually blend your soup if you decide that you would like it to be even smoother. The pre-clean function helps to make this soup maker much easier to clean. That said, like other soup makers we have seen, any burnt on food is still difficult to get rid of and therefore you can’t rely upon the cleaning programme alone. Another great feature is the automatic keep warm option. This is perfect if you have a busy schedule, as you won’t have to worry about your dinner going cold. On the whole, this is a great soup maker but it does have some shortcomings. It can be rather noisy when blending and a few people mentioned the power cord wasn’t long enough. The Lakeland Touchscreen Soup and Smoothie Maker is a robust appliance that can be used to personalise your soup recipes with its adjustable temperature, blend speed and time settings. If you prefer your soup smoother, or your vegetables softer, simply alter the settings to suit your personal preferences. If you like to have precise control over all of your soup cooking process, then this would be a great choice for you. Aside from offering you the possibility to truly customise your soup recipes, this soup maker also features four pre-programmed functions, so you can sit back and leave it to take the hassle out of cutting, blending, cooking and simmering. You can also select chunky or smooth automatic settings, so you can enjoy your perfect texture of soup without having to lift a finger. The LED touchscreen display is extremely easy to use and includes a handy countdown timer. This means you can simply set this soup maker running and get on with other things, without losing track of how long you’ve got until your meal is ready. There is also a time-saving ‘auto-clean’ setting for convenience, although you may find you still have to finish up by hand. Unfortunately, this soup maker machine does lack some of the features we have seen in other models. 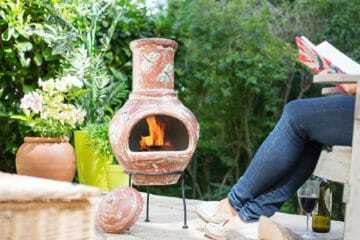 There is no auto keep warm function, nor can it sauté – so this will ultimately limit your usage. Furthermore, many people found this particular appliance to be rather heavy and quite bulky, so it may take up too much space if you have a smaller kitchen. 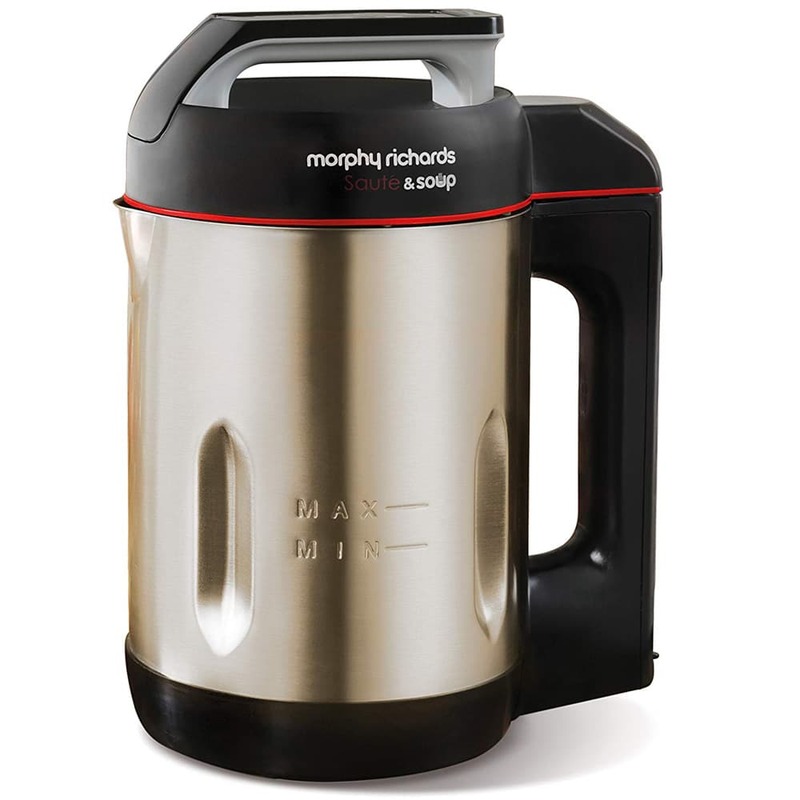 This Morphy Richards 48822 is a great choice if you’re looking for a simple, no-frills soup maker. It has a large 1.6L capacity, serving up to six portions; so it is ideal if you have a large family or like to freeze homemade meals for future use. We liked the simplicity of this soup maker and we were pleasantly surprised by the LED countdown timer, a useful feature that is often found on more premium appliances. Although this soup maker does not have a wide array of options, there’s no sauté, keep warm or pause function, it does offer a choice of smooth or chunky soup settings. You can also use it for smoothies or sauces, plenty of which are featured in the included recipe book. The simple one-step start makes this soup maker a good choice if you’re looking for an easy to use, large capacity soup maker. However, you should note that you’ll need to ensure that your ingredients are chopped up finely, preferably into one or two-centimetre chunks. So, in spite of its simplicity of use, the preparation required prior to use is a little more intensive than you may prefer. Furthermore, like most soup makers, this model can be difficult to clean if you get any burnt on food. 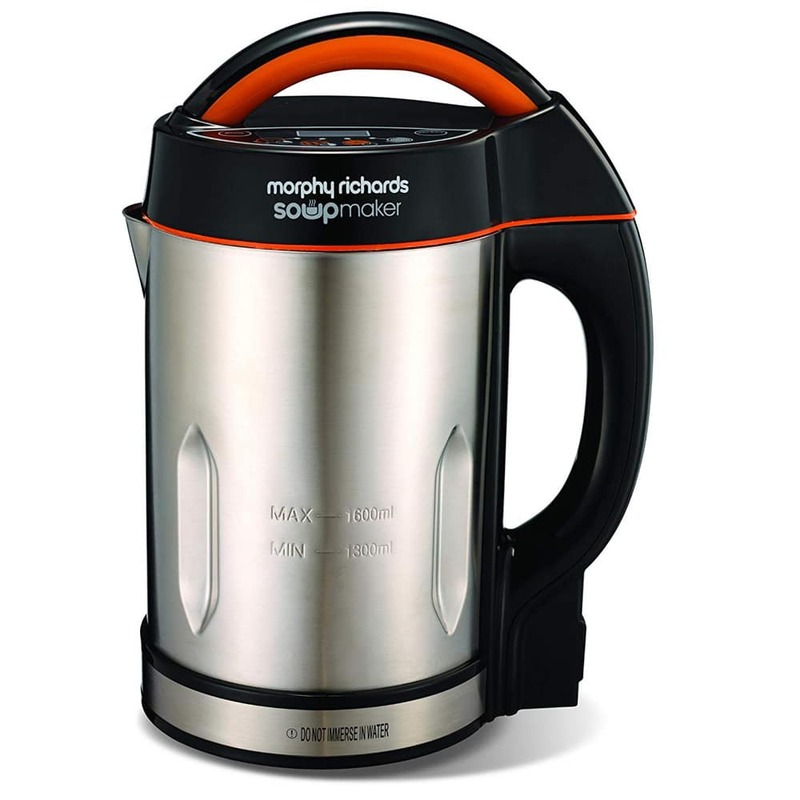 If you’re looking for an easy to use soup maker with a keep warm and easy clean mode, then this Morphy Richards soup maker might be just what you’re after. Having a simple touch operation, this 1.6L soup maker has a choice of chunky or smooth soup settings, which are ready in only 21 minutes. Or, if you like to enjoy a fresh smoothie for breakfast, just fill with your favourite fruits and hit the smoothie button. The LED countdown timer is a great feature, especially if you’ve got plenty of other tasks to do in the kitchen. As always, the inclusion of a keep warm function is also a bonus, as you don’t have to rush to be ready to eat as soon as the timer finishes. 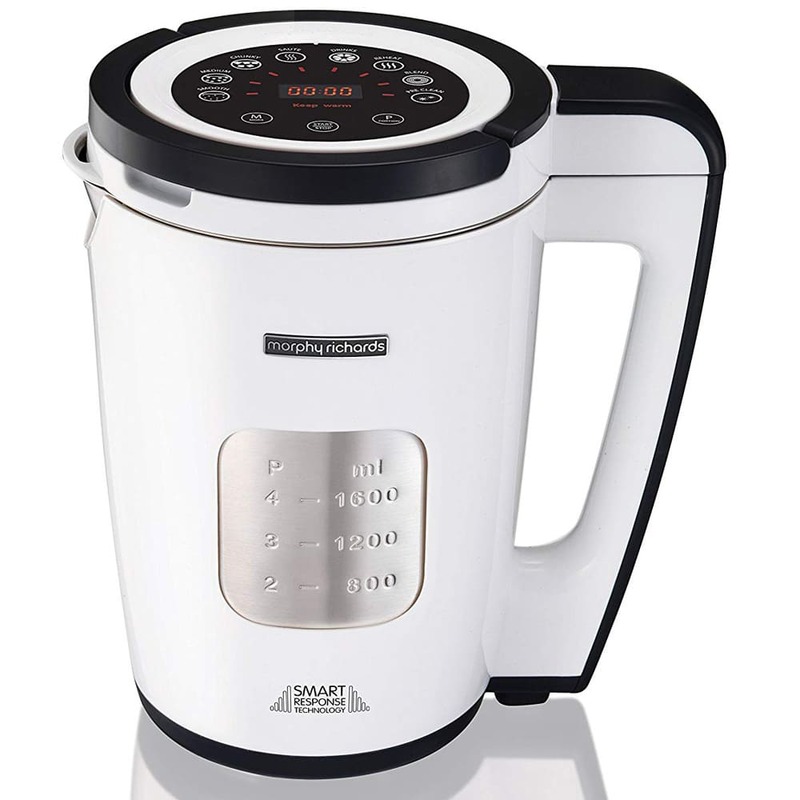 Although this soup maker may have fewer features than some more complex models, it does feature a pause mode. This allows you to remove the lid to taste and season and to check the consistency, without causing the programme to automatically reset. This saves you time, hassle and helps you ensure your soup tastes just the way you like it. If you like to create many different soups, you should be aware that there is no sauté function, which may or may not be a deal breaker for you. There is, however, a clean mode, which can make cleaning easier, although like the vast majority of soup makers any cooked on food can be extremely difficult to remove. It can also be pretty noisy when used on smooth mode. That said, this is a great choice if you want a simple soup maker with a few added extras that make life that little bit easier. 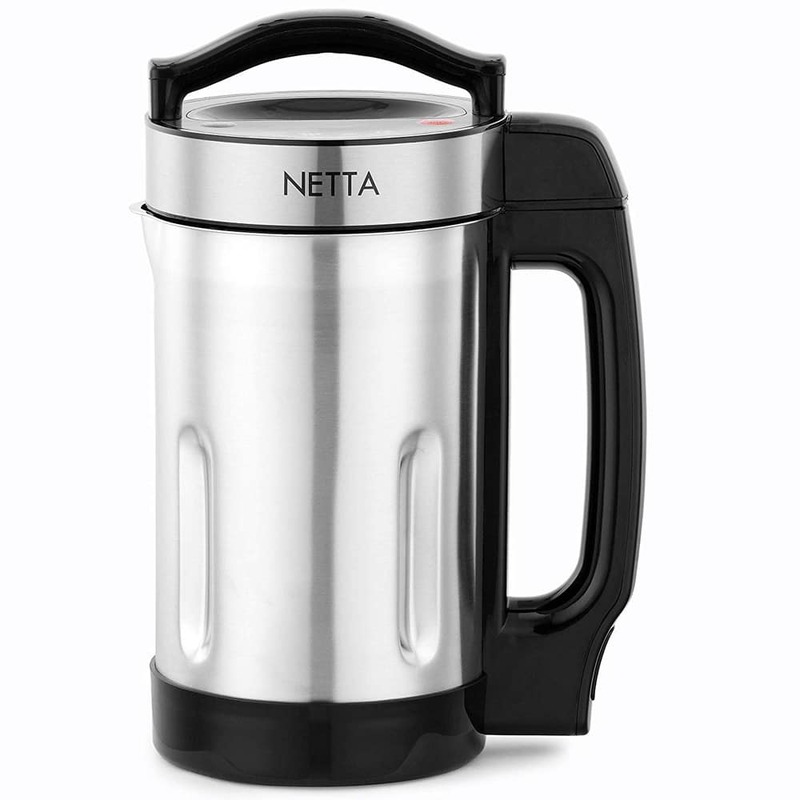 This smart stainless steel soup and smoothie maker from Netta is a simple but practical appliance for making homemade soup. If you’re looking for a reliable, solid soup maker without many extra features, then this could be what you are looking for. Its large 1.6L capacity makes it a good choice if you’re cooking for a family or if you like to batch cook portions for future use. The Netta soup maker is easy to clean, thanks to its auto-cleaning mode. It also has another three pre-set functions for smooth soup, chunky soup and blended smoothies. The built-in overfill sensor improves safety and convenience. However, the exterior of this soup maker can get extremely hot when in use, so you must be careful not to burn yourself. On the downside, there are no pause or sauté functions, so if you frequently use recipes that require sautéed vegetables you may be better off with a more complex model. The controls on this appliance can also be a little fiddly, but the digital display is easy enough to read. Although not essential, we would have liked a keep warm mode and possibly a countdown timer. 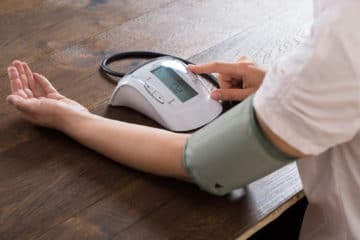 However, if you’re not always pressed for time, you could probably easily do without these additional functions. Soup makers usually work in one of two ways, depending on the style of soup maker. Soup making blenders resemble a large, standard looking blender. They have clear plastic jugs so you can monitor the contents within. This type of soup maker blender will blend ingredients just like a normal blender but also offers the option to cook/heat the ingredients inside. Some models include a saute function too. 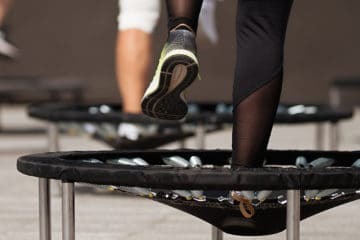 They generate the heat required to do so either by blade friction or by way of a hot plate in the bottom of the blender. Dedicated soup makers look very different to soup making blenders. They look like a large flask or kettle and are often made from stainless steel, so you cannot see inside without opening them. Soup makers tend to have the blades attached inside the lid and a heating element in the bottom. Some soup makers have a special saute function so you can pre-cook ingredients within the jug for maximum flavour. However, you must be very careful to meet the minimum and maximum fill requirements, otherwise, they may not work correctly. You can even buy soup makers that will have the option of creating cold soups and smoothies, too. Compared to a microwave, induction hob, slow cooker or even a halogen oven, a soup maker may seem like a non-essential kitchen appliance to some, but owning this clever cooking helper comes with a wealth of benefits. In fact, many people find that once they buy a soup maker, they use it so frequently they cannot imagine how they ever lived without it! Perhaps the main benefit of using a soup maker is the ability to quickly create warming, healthy meals from scratch with little fuss. Even though soup is usually associated with the winter months, this nutritious dish can be enjoyed all year around. 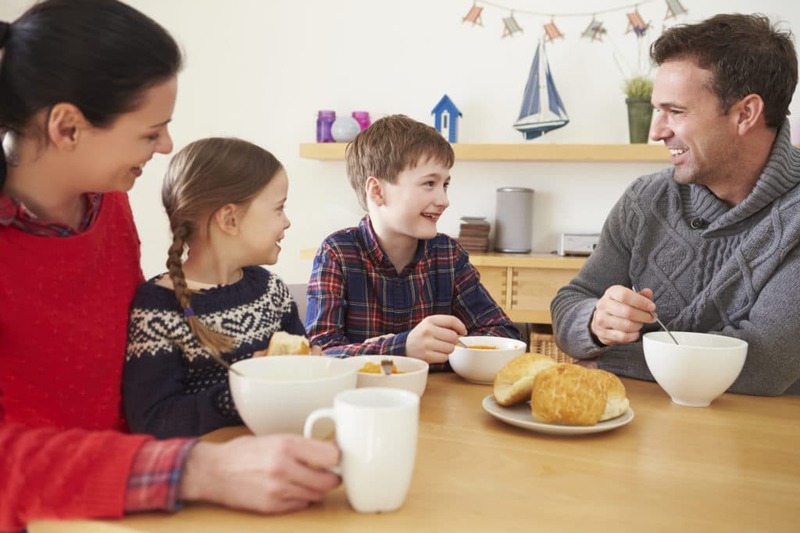 Eating soup is a great way to boost your health; it enables you to easily consume many wholesome vegetables and the nutrients they contain without having to spend hours in the kitchen. Furthermore, blending vegetables increases the rate of nutrient absorption, so you can better enjoy all the health benefits of your chosen ingredients. Because vegetable soup made in a soup maker retains all the liquids that the ingredients were cooked in, it has a higher nutritional density than other methods of cooking. When you boil some vegetables and drain the water away, you, in fact, end up pouring many of the nutrients down the sink, thus missing out on their benefits. But, are soup makers any good for weight loss? The answer is yes! 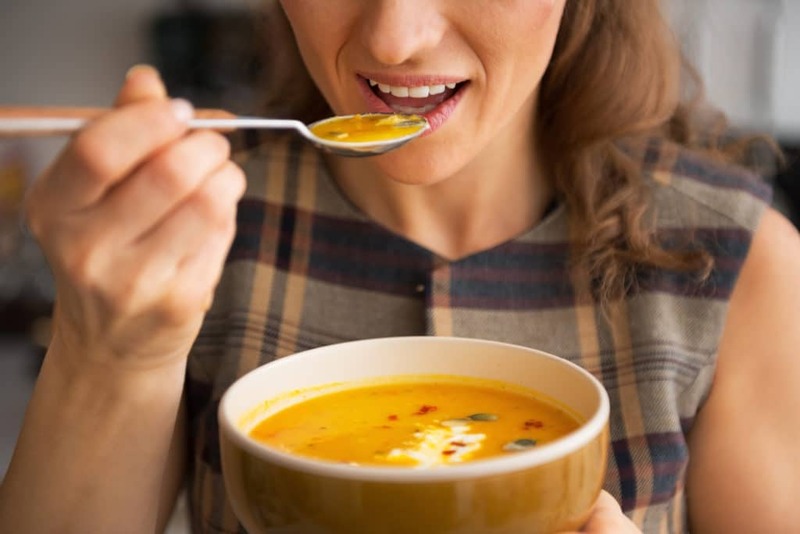 As well as being a great source of nutrition, eating soup has been clinically proven to encourage weight loss by helping you feel fuller for longer. Usually, if you want to make some homemade soup, there are a number of steps you’ll need to go through. Firstly, you’ll have to saute and cook your ingredients in the pan until softened. Then you must transfer them to a blender or food processor, before returning the mixture to a pan to reheat before serving. Clearly, this involves multiple pans and appliances, all of which need to be taken out of the cupboard, cleaned and put away again when you’re done. Soup makers offer you a much simpler way of doing things, by enabling you to do all of the above with just one appliance. Furthermore, a great thing about soup makers is that they can often make much more than soup. 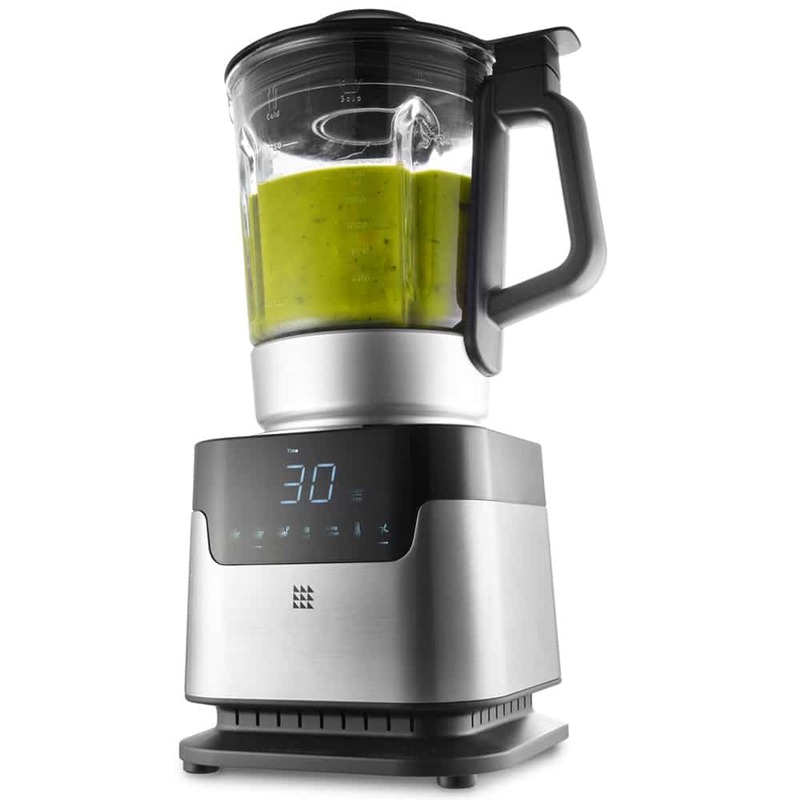 You can buy a model that will have special settings to make juices, smoothies, compotes, sauces and can even crush ice for summer cocktails. A further benefit of having a soup maker is how quick and convenient they are to use. With many models, all you need to do is chop up your ingredients, throw them into the jug, add some liquid and press a button. Then you can simply carry on with whatever you’re doing until your delicious, hot soup is ready within 20-30 minutes. This convenience is especially useful if you have a busy schedule but want to eat healthier meals. Because soup makers are so quick and easy to use, you could make some fresh soup in the morning while you get ready, and then take it to work with you for lunch. If you hate having to think about what you are going to eat when you get home every evening, you can also use your soup maker for batch cooking. To do this, simply cook up a large quantity of soup and then freeze portions so that you have easy meals ready any night of the week. After reading our top soup maker reviews, you should now have a few models in mind which you are thinking to buy in the near future. 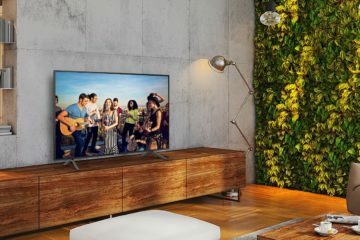 But, before you go ahead and make your final choice, you should take a moment to consider whether a particular model includes all the right features for you and your lifestyle. Our below list takes you through some of the most important features to look out for when selecting the right soup maker for your needs. 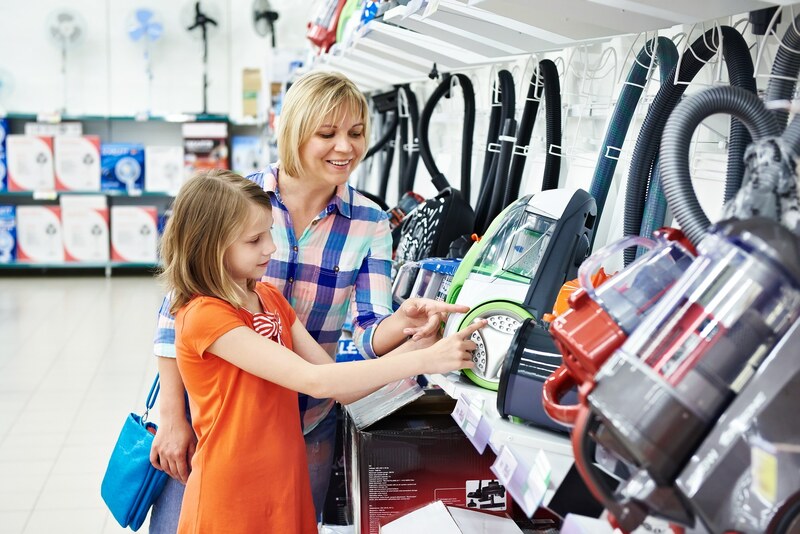 When shopping for a soup maker, the very first thing to consider is what size will suit your needs. 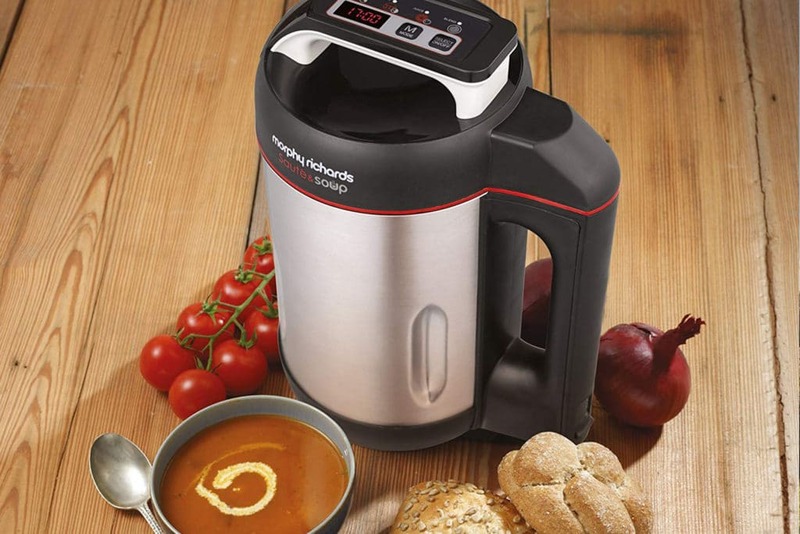 Soup makers come in a wide variety of sizes, with the smallest starting at around one-litre capacity, going all the way up to 2 litres or more. Of course, the larger the soup maker, the more people you will be able to feed at once. 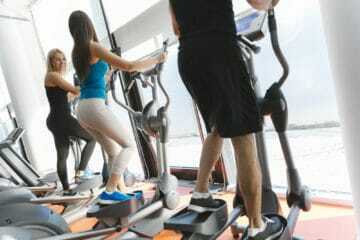 If you have a large family, you will be better off choosing the biggest option. After all, should you have a small amount of soup leftover, you can always freeze it for later. If you live alone or as part of a couple, a 1-litre soup maker will suffice. On the other hand, you may prefer to buy a large soup maker for economic reasons. Large soup makers tend to be more powerful and will enable you to cook batches of soups and sauces at once, so you can fill your freezer with pre-prepared meals for the week. That said, it is worth considering how much space you have in your kitchen before you make your decision. Large soup makers can be quite bulky and heavy, so depending on your circumstances, a smaller, more compact soup maker may be better. Of course, you could buy the best soup maker in the world, but if it’s a pain to use, it’s likely to sit in the cupboard and never see the light of day. For this reason, it is important that you pick a soup maker which will be easy to operate and a pleasure to work with. The majority of the soup makers on our list are simple to use. This is particularly true for the more unsophisticated models which have fewer features to confuse matters. 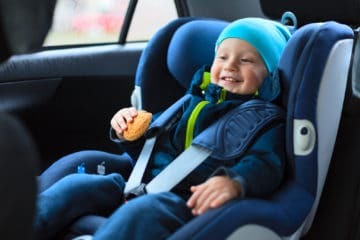 Those which offer more options and settings may take you longer to figure out, but a few minutes with the instruction manual and you should be on your way. All in all, it really depends on your level of cooking experience and how many features you feel you need. If you want a soup maker which can saute ingredients, produce different textures of soup, create sauces and compotes as well as make juices and smoothies – you should go for a feature-packed model. However, if you want to just throw some ingredients into your soup maker, press a button and leave it to do its job, then a basic model will probably be right for your needs. Many soup makers offer a sauteing feature, which allows you to gently fry your meat and other ingredients before they are blended and cooked. The main benefit of this is that it helps to release the juices and flavours within as well as maintain nutritional value, leaving you with a healthier, richer and tastier soup. Obviously, you can always simply saute the ingredients in a pan on the hob first, but this method will create more dishes to wash up afterwards. If you would like to have greater flexibility with the kind of recipes you can create in your soup maker, choosing a product which has the ability to saute will make life much easier in the long run. Unless you have a visceral dislike for a particular texture of the soup, you will almost certainly wish to have multiple texture options from your soup maker. Luckily, all soup makers tend to offer at least two texture options: smooth or chunky, when blending your ingredients. 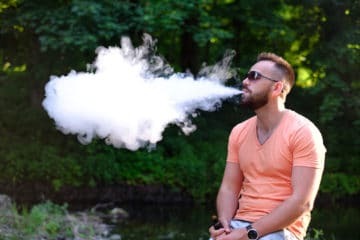 That said, if you like to be a little adventurous when it comes to culinary matters, you should look for a soup maker which features greater control over the consistency. Some models allow you to intervene and give the mixture an extra whizz or stir should you feel it needs to be smoother. One of the most attractive benefits of a soup maker is its potential to save you time and hassle when preparing your meals. 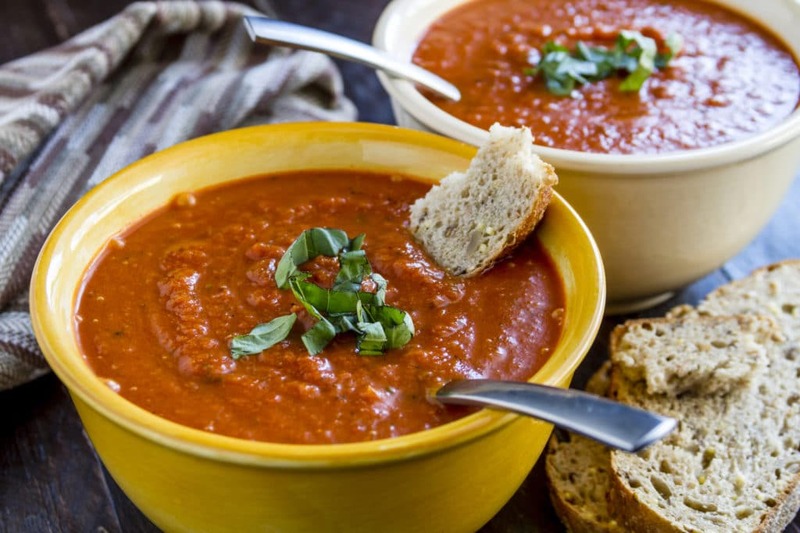 Therefore, the number of minutes a particular product takes to create delicious soup is an important aspect to consider when deciding which soup maker to choose. Generally speaking, you will be hard-pressed to find a soup maker which could be described as slow. Depending on the style of soup maker and the texture required, most models can cook fresh soup in around 20 to 30 minutes. But if some of your desired features are missing, you could end up spending extra minutes doing them manually. A good example of this is if you wish to saute your ingredients first. If you buy a soup maker which is incapable of this task, you will have to do all the preparation yourself – thus taking more time than would otherwise be necessary. It is worth keeping this in mind when shopping for a soup maker. If speed is important to you, then you must also consider how easy it is to clean up after you have finished with your soup maker. After all, it’s no good if you can whip up soup in 20 minutes, but then spend an hour cleaning out the soup making machine afterwards. Unfortunately, many soup makers are not dishwasher safe, so you will need to either take them apart or carefully rinse and reach inside to wipe them clean. This can be quite awkward as you’ll have to work around the blades whilst trying to remove any last traces of soup. 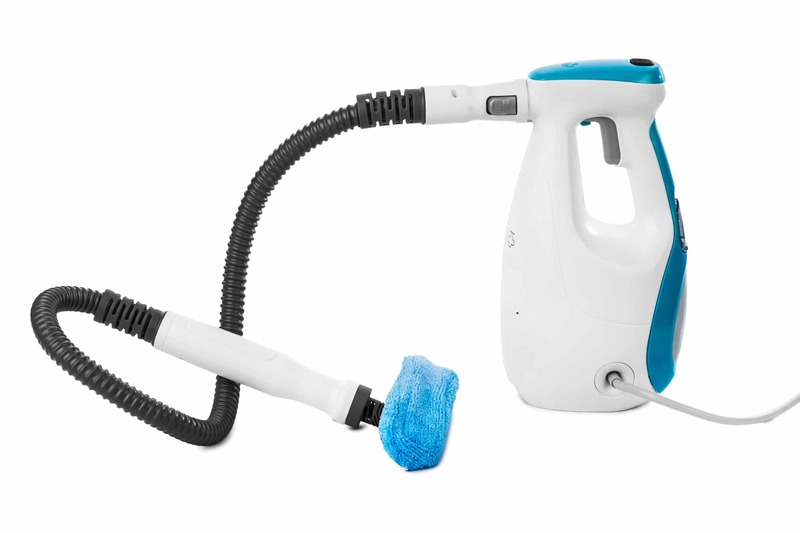 Luckily, most new models have a non-stick coating and many now offer a self-cleaning feature, which involves simply adding water and washing up liquid to the soup maker and switching it on. While all the soup maker reviews we have seen will make delicious homemade soup, our overall winner is the Morphy Richards Sauté and Soup Maker. Not only does this soup maker look stylish, but we also love that it is capable of serving up to four people and offers multiple texture options so there should be something to suit everyone. We were also impressed that the Morphy Richards Sauté and Soup Maker has a useful saute option, so you can easily pre-cook your ingredients for maximum flavour. This enables you to be more adventurous and experiment with many different recipes, while the convenient pause function means you can add extra seasoning as you go. As if this wasn’t enough, the Morphy Richards Sauté and Soup Maker works fast, too. Once you have added your ingredients, you can expect to have a bowl of hot, tasty soup in only 20 minutes with no waiting around. Furthermore, after you have enjoyed your meal, cleaning up is easy thanks to the non-stick interior. All in all, if you want a stylish, multifunctional and feature-packed soup maker which creates delicious results fast; we think the Morphy Richards Sauté and Soup Maker is the best soup maker for you.